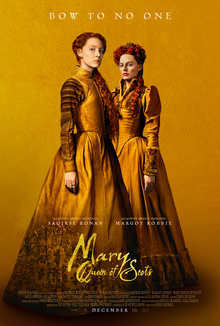 ‘Mary Queen Of Scots’, directed by Josie Rourke hit Indian theatres on February 1 and it opened with positive reviews from the audience. The female-centric film has two leads, Queen of Scotland Mary Stuart (Saoirse Ronan) and Queen of England, Elizabeth I (Margot Robbie). Mary after losing her husband decides to go back to Scotland from France and establish her position as the Queen of Scotland. While doing so she appears as a threat to the Protestant, unmarried and childless Queen of England Elizabeth I. This starts a cold war between the cousins manipulated by their advisors making their way to the throne. The strong-willed women have an amazing supporting cast. Guy Pearce and David Tennant playing William Cecil and John Knox respectively on Elizabeth’s side with evil intentions, and Lord Darnley played by Jack Lowden and Ismael Cruz Cordova playing David Rizzio stand out of the crowd. 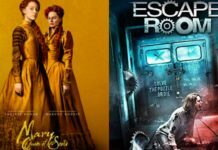 Director Josie Rourke took leverage to alter the history and made Mary and Elizabeth confront each other, while there is no solid proof that they ever met. To the costumes to the set design and background music, everything looks in place. Talking about the performance the actresses played their part well and convincingly. Saoirse Ronan gave a passionate performance and Margot Robbie was not even an inch behind her in playing her part.